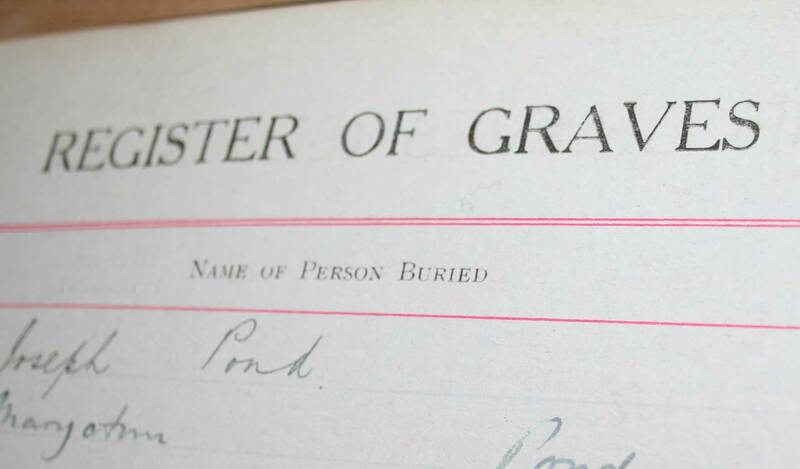 Our burial records have been photographed and the information placed online for you to search. Records available currently run to December 2014. You can search for free to establish whether the person has been buried in one of our cemeteries or cremated at Putney Vale Crematorium. We are unable to search the records for you. To obtain further information including the grave number you may pay a fee of £8 to download a copy of the register or for records from 1985 textual register information (only) is available including, cemetery/crematorium name, surname, first name, grave number/cremation number and burial/cremation date. These are examples of what you would expect to obtain by paying for a record. *Where textual information is purchased the database will provide a blank PDF example as well as a copy of the record in .txt format. This is a process of the database and not an error. If you experience a problem downloading a record please email the office at bereavement@enablelc.org supplying the receipt number and we will send a copy of the purchase to your email address.